Once very popular in Floyd County and around Roanoke, Virginia, but quite rare and unknown today. Origin unclear. Its mild, sweet flavor makes this a pleasant fresh-eating apple but it is at its best when turned into apple preserves or marmalade. Also excellent for applesauce and apple butter. 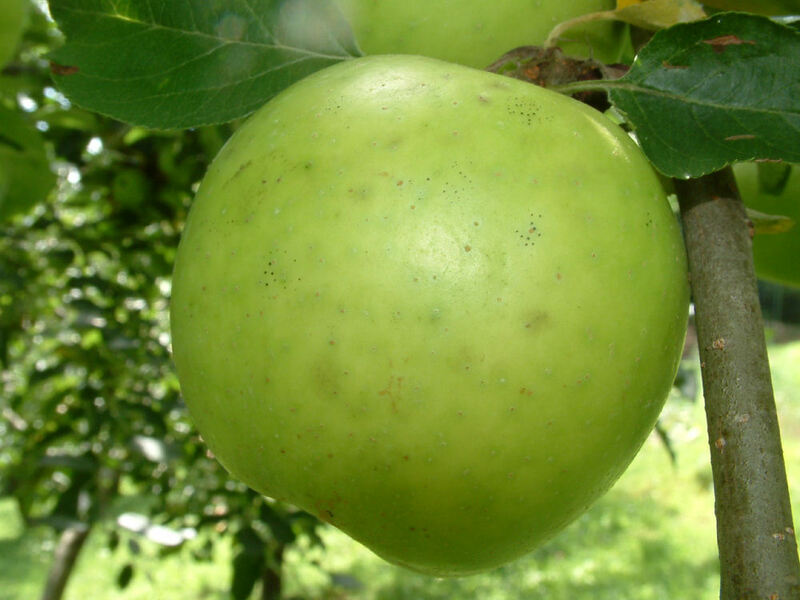 Fruit is medium-sized and slightly flattened on the ends with light green or yellow skin. The fine-grained yellowish flesh is moderately crisp, juicy and sweet. Ripens August to September. Would love to order Yankee Sweet apple trees. How do I go about this? We appreciate your interest in our heirloom apples and are pleased you contacted us. 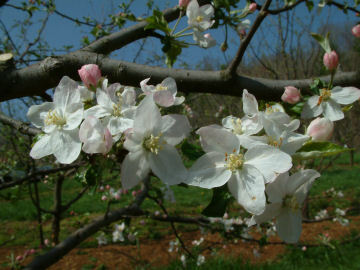 We would be delighted to custom-graft a couple of Yankee Sweet apple trees for delivery to you this fall. For information on how to submit an order visit our website at http://bighorsecreekfarm.com/how-to-order/. For additional information on tree prices and shipping charges go to http://bighorsecreekfarm.com/pricing-information/. Please contact us anytime if you have any questions. Thanks again for your interest. Thank you so much for the information. Will visit your web site and get back to you. I remember the Yankee Sweet Apple my grandmother had in her yard. I loved it but have not been able to find the tree. If you have them please let me know how to purchase some of them. I think we are looking for about 8. Leave a Reply to Janice Conner Click here to cancel reply.